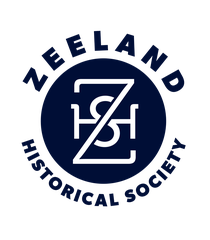 The Zeeland Historical Society's annual Historic Home Tour will be held from 10 a.m. to 3 p.m. on June 15. One of the homes featured on the tour this year will be Central Avenue's Painted Lady located at 360 E. Central Ave. This home was designed in the late 1800s by the Grand Rapids architectural firm of Benjamin and Sons and built by Josias Baarman for the P. Henry DePree family. The Painted Lady features curved screened porch, turrets, hand painted ceilings, and a large reception hall with glazed fireplace and beamed ceilings. All rooms have original woodwork and light fixtures. The home is currently owned by the Vander Warf family.